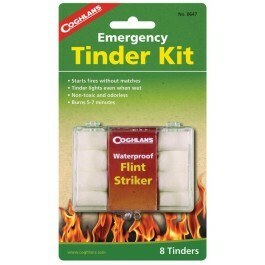 Coghlan's Tinder Kit is a safe way to start a fire without matches. 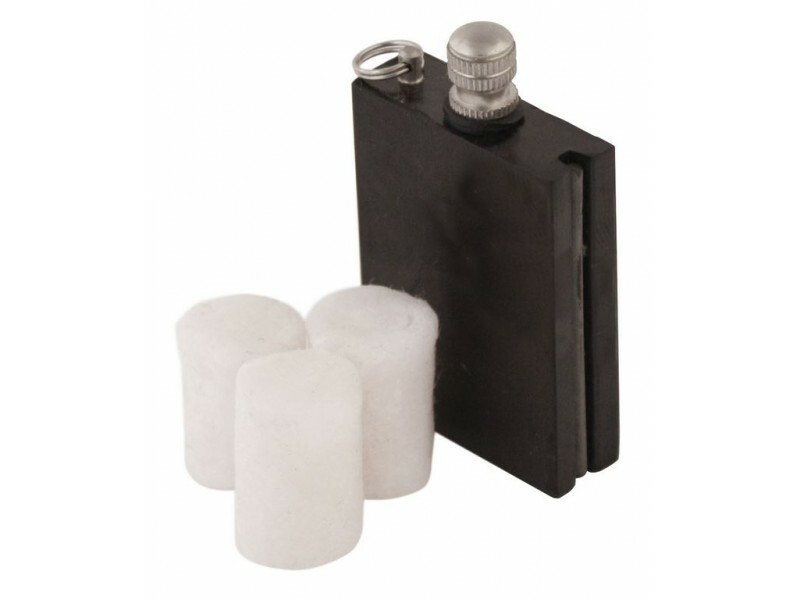 The Tinder will light even when wet and is non-toxic and odorless. 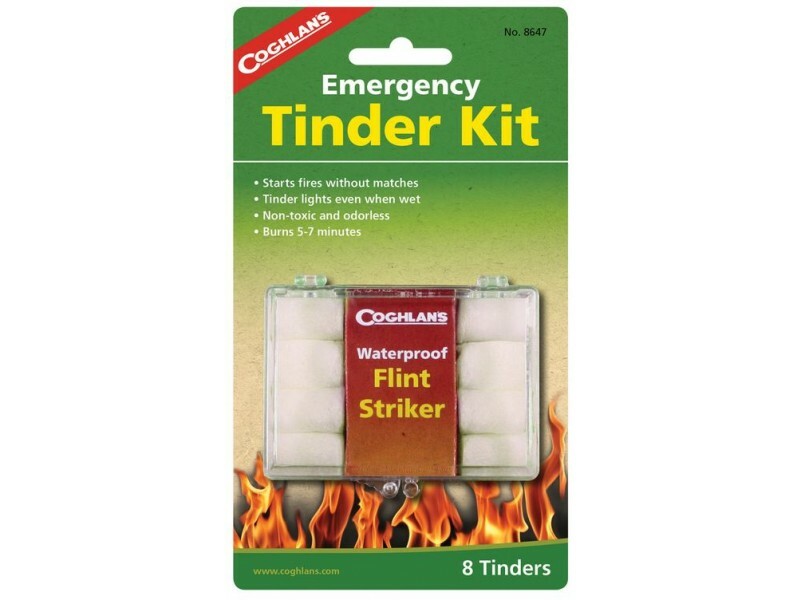 Each kit comes with 8 pieces of tinder and each piece burns for 5-7 minutes. Giving it enough time to ensure adequate time to light the main fuel source. Great for camping, hiking, fishing, and RVing.